The 2018 Saint Martin Heathcote Wine Show top wine has gained further accolades for the region being named the Red Wine of Provenance at this month’s Royal Melbourne Wine Awards. Conducted by The Royal Agricultural Society of Victoria for over 130 years, the RMWA gives producers the opportunity to benchmark their wines against industry standards, seek advice from an independent panel of experts, and promote and market award winning products using the RMWA’s seal of excellence. Thousands of Heathcote wine lovers were at the region's showcase celebration food and wine festival over the weekend where Peregrine Ridge won its way through the Heathcote challenge for a spot in the 2019 SBS Food Network program Battle of the Vines. They sampled wines from more than 40 local wineries - trophy and gold medal winning wines and new releases again showing the depth and maturity of the region. Heathcote Estate has taken out the major Heathcote Grand Terroir trophy at this year’s Saint Martin Heathcote Wine Show. The award was presented at Saturday’s Showcase of the Region dinner attended attended by more than 150 people who enjoyed a menu prepared by Frank Camorra of top Melbourne restaurant MoVida and Trufflepig Catering, matched with trophy and gold medal winning wines from the show. 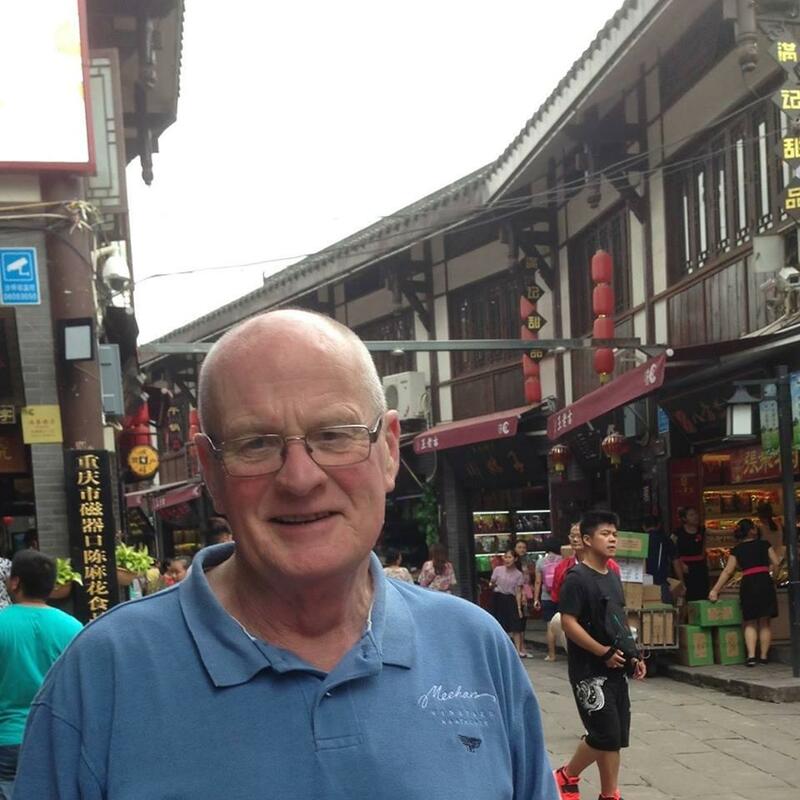 It is with great sadness we advise that Phil Meehan passed away last night surrounded by his family. Phil was a former president of the association, festival committee chairman and had been treasurer until his recent illness. More than 300 of the Victoria’s best wines will come under the scrutiny of leading industry judges when the 2018 Saint Martin Heathcote Wine Show gets underway tomorrow - Thursday 2 August. Judges will spend the next two days assessing wines made from grapes grown in the region and awarding medals and trophies to outstanding wines. Some of Australia’s finest wine is produced in Heathcote and central Victoria –wine acclaimed around the world that has seen Wine Australia proclaim Heathcote as the new jewel in the crown for Victoria. The premium, rich and full-bodied shiraz and exciting Mediterranean varieties are the showcase of the Heathcote wine region. And this year’s 17th annual Heathcote Wine and Food Festival on 6 and 7 October will be a celebration of the growing success of passionate local winemakers. Heathcote Winegrowers’ Association is pleased to announce the Bendigo-based AFS and Associates as a new sponsor of the association. AFS & Associates Chartered Accountants boasts a wealth of experience and expertise in the wine growers’ industry. The 2018 Saint Martin Heathcote Wine Show celebrates the new jewel in Victoria's wine crown when wines made from grapes grown in the region are awarded medals and trophies by a judging panel of leading industry experts. And the winners of the top awards will be announced at the Showcase of the Region Dinner on Saturday 4 August. Vineyards and cellars doors across the Heathcote Wine Region have a Queen's Birthday weekend packed with activities befitting the ite region's status as the new jewel in Victoria's wine crown. From special tastings and new releases to entertainment and cuisine, the weekend is a showcase opportunity to connect with the passionate winemakers behind the amazing premium wines being produced in the Heathcote region. Special winemaker dinners are also on offer but be quick to book as these functions are always a sell-out. 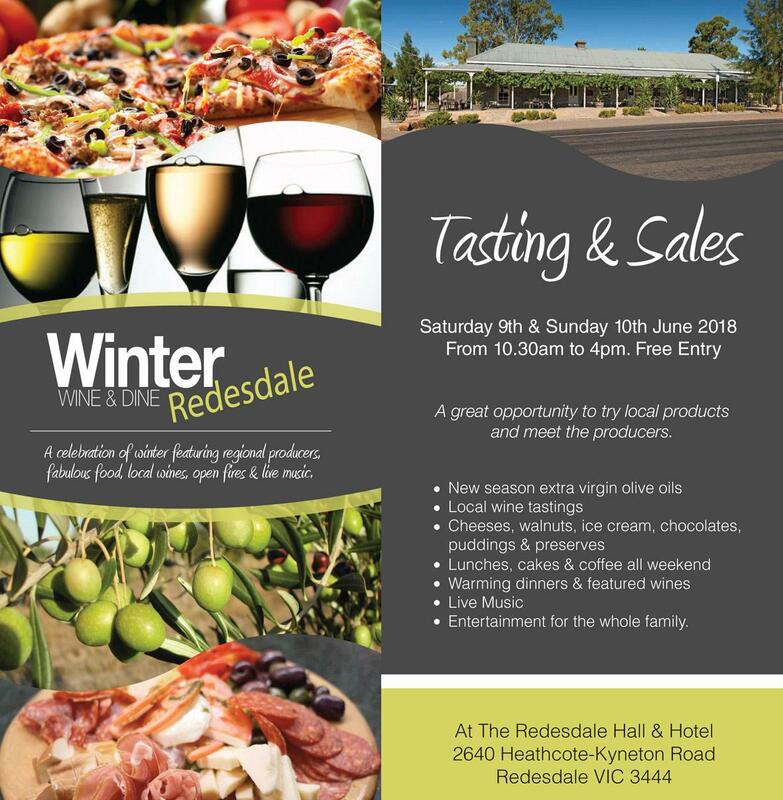 Winegrowers from the southern part of the famous Heathcote Wine Region will feature at the Winter Wine and Dine in Redesdale over the Queen's Birthday weekend. It will be a celebration of winter featuring local producers, fabulous food and wine, open fires and great music.